that the make up of the population would not change significantly over time. Of course neither of those conditions are certain and one has in fact, already proven to be wrong. Population in the United States has continued to grow. Though that growth is by no means a resolute law of nature. Most other industrialized nations have seen birth rates decline, some to the point of danger. Russia is shrinking. Europe is changing demographically in order to combat the decline in birth rates. So too the U.S. has shifted to a more Latin nation as birth rates vary by ethnicity. But the existing trends are not immutable (or necessarily bad/good). The fact is that U.S. population could stop growing at any time. It's not beyond the realm of reasonable possibility. Even still, a halt in population growth (though perhaps not a decline) could be sustained and Social Security and Medicare could conceivably have been sustained if not for the more disturbing miss on the part of their planners - the changing age of Americans. 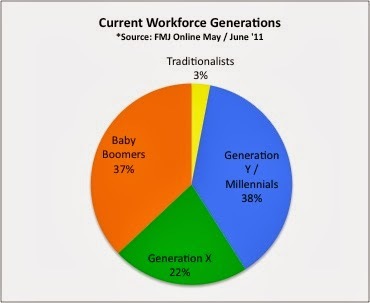 Everyone is familiar with the concept that with the aging of the baby boomers (a significant bulge in the population bell curve) that Americans are getting older and that as a result it has dramatically changed the ratio of workers to retirees. Thus social security will require much more significant contribution from current workers to support the retiring boomer generation. That is significant because the social security system is the opposite of pay it forward, it's more 'borrow it backwards'. There's no cushion of stored funds to smooth out the fluctuations. The tax burden upon those left in the workforce will become a Greek tragedy. The same thing is true for health care. The old get sick the most. That means Medicare will suffer the same problem as Social Security. Medicaid is a slightly different problem. With the economic drain associated with the tax (but not a tax) burden on workers and companies alike, there will be more who will opt out of trying to get ahead and will opt for a life of handouts including Medicaid. That's a simplistic view of it, but it's not an unreasonable proposition. Everyone knew that this was coming. No one did anything about it except kick the can down the road. That is until Obama came along and decided to double down on the losing formula. In Obamacare, he has created a system that requires a pool of young people in the system to support a larger, undoubtedly 'sicker' pool of older people. Except with his plan he gave the young the opportunity to opt out for a small penalty. The formula for success becomes even more impossible to achieve. He has compounded the problem that changing demographics means for social programs by simply not taking reality into account. Past generations could be excused for the oversight- they were naive about statistics and potentially damaging shifts in demographics for their programs. Obama has the same problem but should not be allowed the same excuse. Today there is no excuse for ignorance of not a possibility but an eventuality.